The EA has a very simple setup,but effective .Uses only pending orders,which improves the accuracy of position entry. The principle of operation is to capture the slightest movement of the market during a trend, while ignoring the flat periods. 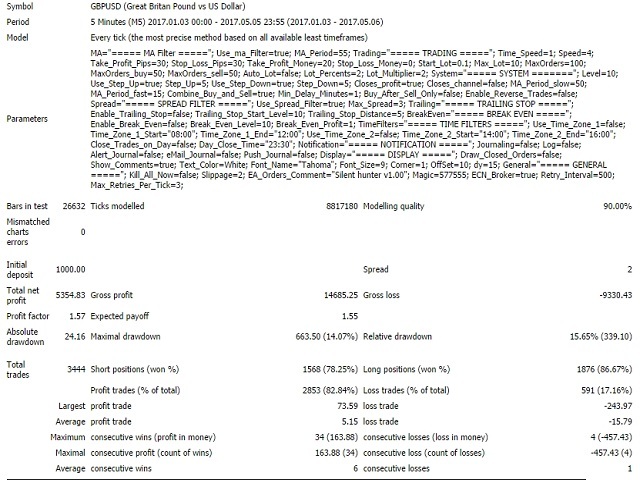 Fully automated program for trading in the FOREX market. At the core of the algorithm is simply following the price movement (trend). Profit and limit potential losses by using placing Take Profit and Stop Loss. 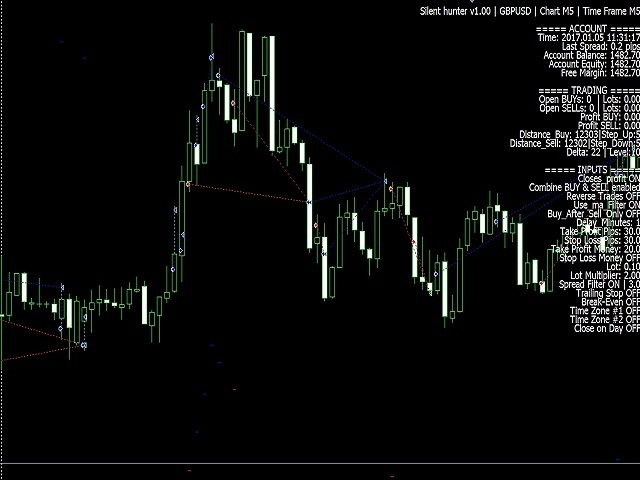 The function "Trailing Stop" allows you to capture the slightest movement of the market. There is the possibility of EA Silent Hunter as a fixed amount and a percentage of the Deposit. The EA works with pending orders. Broker for the Advisor: any. When the "Trailing Stop" it is advisable to work with Brokers, providing "narrow" spread. The chart period to install expert Advisor: any period, since it is only concerned with price movement. Type of execution: "Instant Execution" "Market Execution" (automatic detection). Types of accounts: any ECN. It is desirable for VPS. 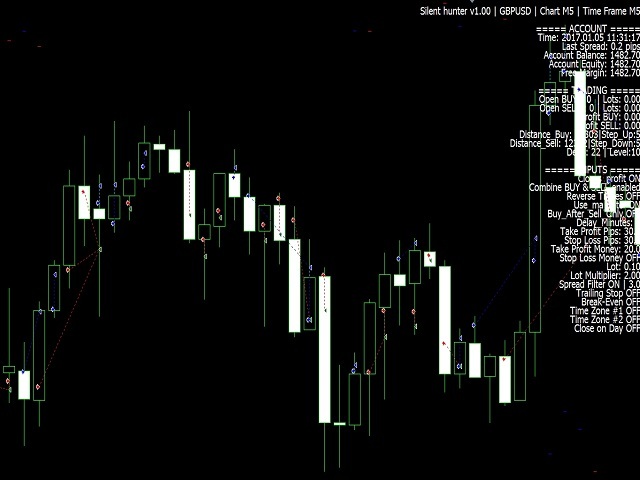 Always works only with its own orders, so if you decided to trade manually in parallel, the adviser will not interfere. Can run with any Deposit with any currency.The balance of the trading account for the Advisor is required at a rate of 10$=0, 01lot. Plug-in program rebate Rebate. It performs a large number of transactions that allows you to earn extra income. To work with multiple characters it is enough to install the EA on the charts with these symbols. When choosing a currency pair to trade with this EA should be guided by the presence of unilateral "recoilless" movement of a currency pair at 300-400 points (5* quotes). Good results on EURUSD, USDCAD,AUDUSD.